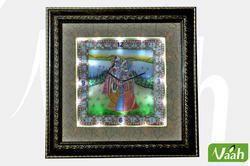 Keeping in mind the precise demands of clients, we offer a wide range of Krishna Terracotta Wall Clock. Our clocks are designed under the firm direction of experienced quality controllers and following international market trend. Handmade Specialized Terracotta Ganesha Wall Clock made by artisans based out of hinterlands of India. Made of Ganga Maati(clay from Ganga river basin). Can be used for decorative or gifting purpose. Color: Multi color. Plastic Black Ganesh Ji Wall Clock, Size: 13.5" X 9.875"
Dial Size: 4.33" x 8.12"
exclusive jisethji product. 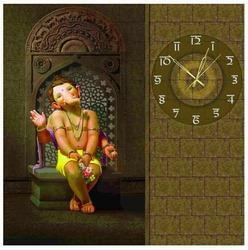 size 22"x 18"
For our prestigious clients, we have been able to bring forth a durable Ganesha Wall Clock.